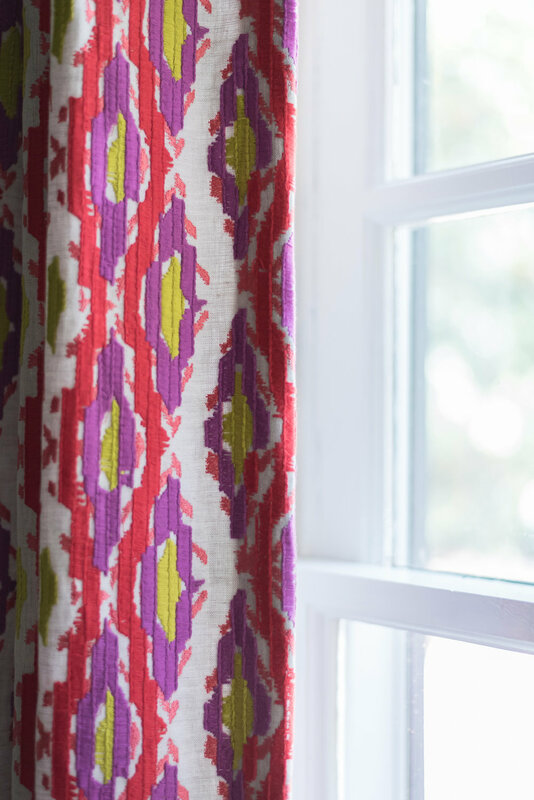 On the joy of photographing an interior designer in her own home, Part 1. 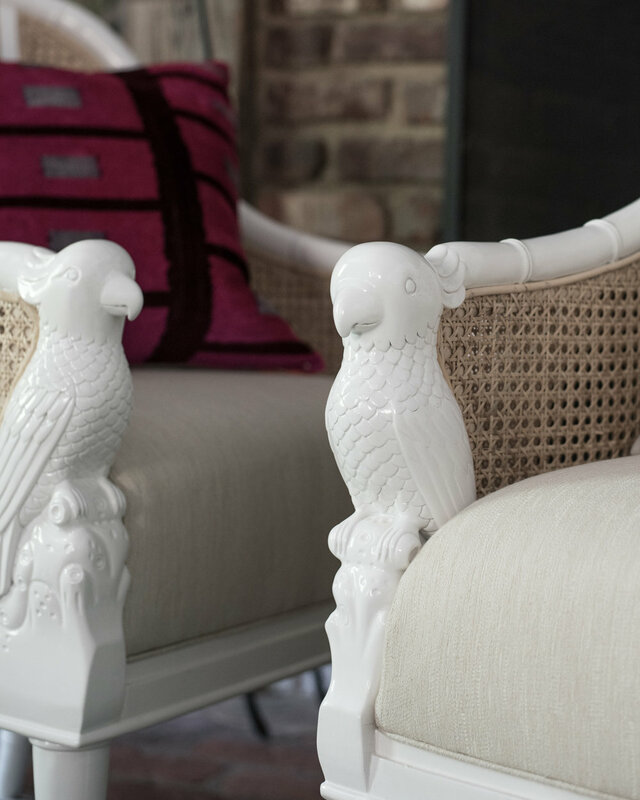 For an interiors photographer, you relish the day that an interior design client utters these words: “I want you to come and photograph my own home.” A designer’s own home can be one of the greatest representations of what her heart and mind and practical life look like. She has almost unfettered artistic freedom apart from her housemates’ input and the always bothersome issue of budget. The result is, in my personal experiencer, always something inspiring to see, and Brooke’s home is no exception. 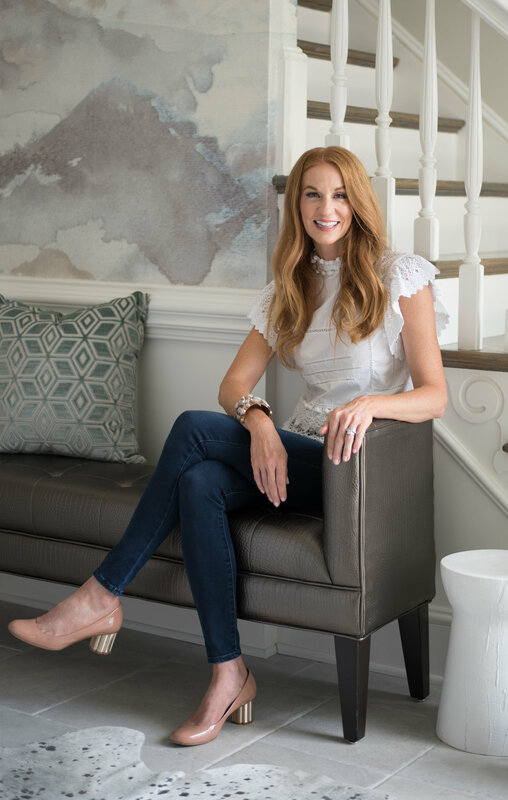 Brooke moved with her family of four from Boston and waited 5 years, currently on year 7 in the house, to start making any renovations. Those that she eventually made sought to bring the 1990’s house, cast in what she calls the “Tuscan brown era,” to that which you see pictured in the gallery below. 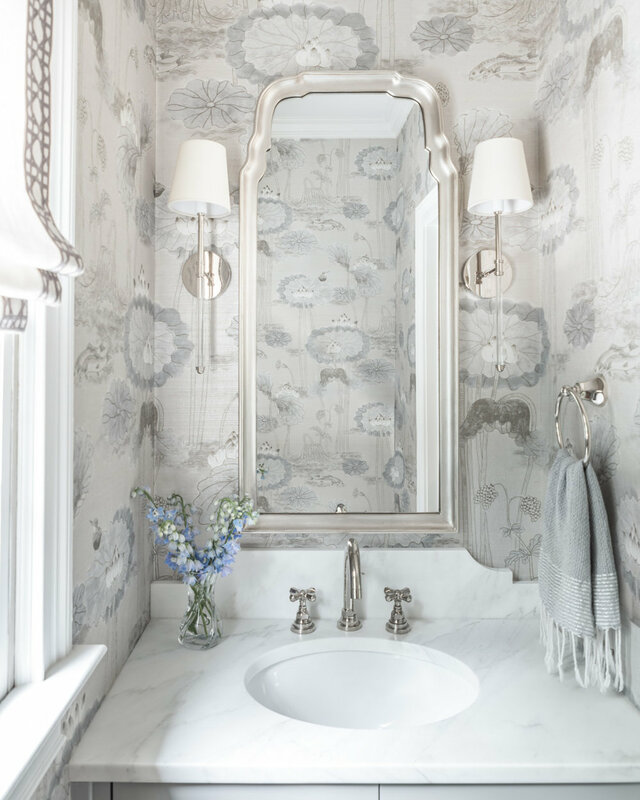 I may venture to call the look of her home “luxe ethereal” since the pallet feels so beautifully buoyant but is punctuated with beautiful metallic tones, a dream rug from her Moroccan honeymoon, smart use of pops of contrast and lots of interesting art). Featured art includes the painting in the breakfast room by Mia Malcolm Studio, textiles throughout designed by Windy O’Connor, the painting hung in the stairwell by Kerry Steele, the painting on the bar by Alexis Walter Art, and a creatively installed Gracie wallpaper preserved behind glass as a backsplash to the stove. 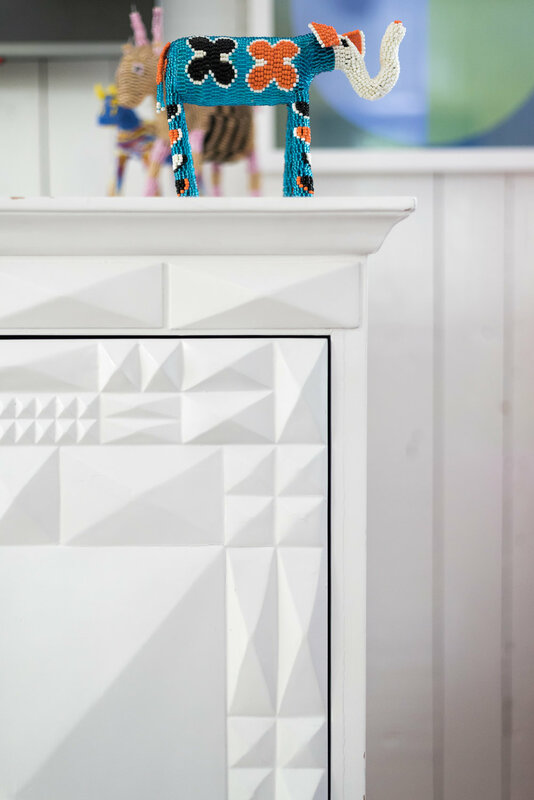 And let’s face it, a La Cornue stove is art in and of itself, especially as seen here in Brooke’s design. Brooke’s previous career in the fashion world influences her sense of style and I suspect is partly to credit for her serious work ethic. Before we began our work she had long since sourced all of her props for shoot day, and while she gave me lots of room to be in charge as the photographer she had a great sense of what the shot list would be, and had styled each scene to virtual perfection prior to my arrival. Over the course of a day and a half we worked away at the shot list, to include a few portraits for her budding business’s promotion - be sure to see her blog and new website at www.BrookeColeInteriors.com. 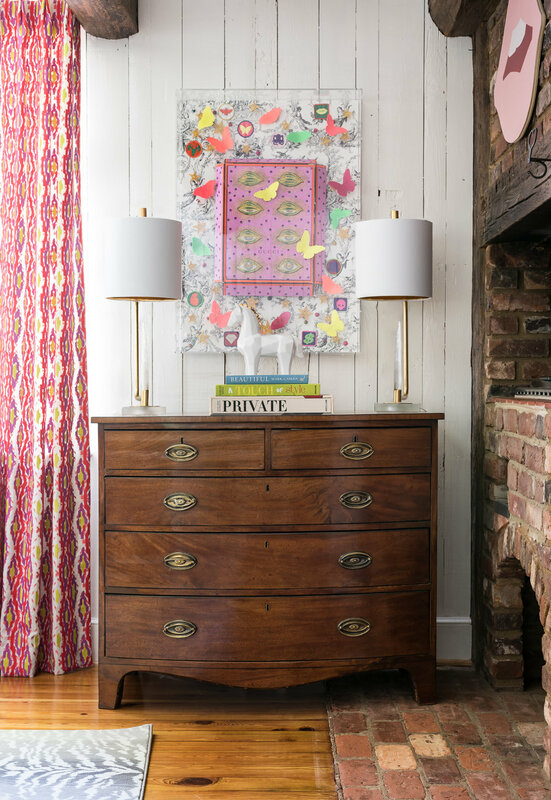 Thank you to editor in chief Ashley Hotham Cox and writer Ann Marie Ashley at Home Design & Decor Charlotte for featuring this gorgeous project! My work with Brooke Cole was a bright part of 2018 for me. If I keep finding clients like this I may never have to “work” another day in my life. 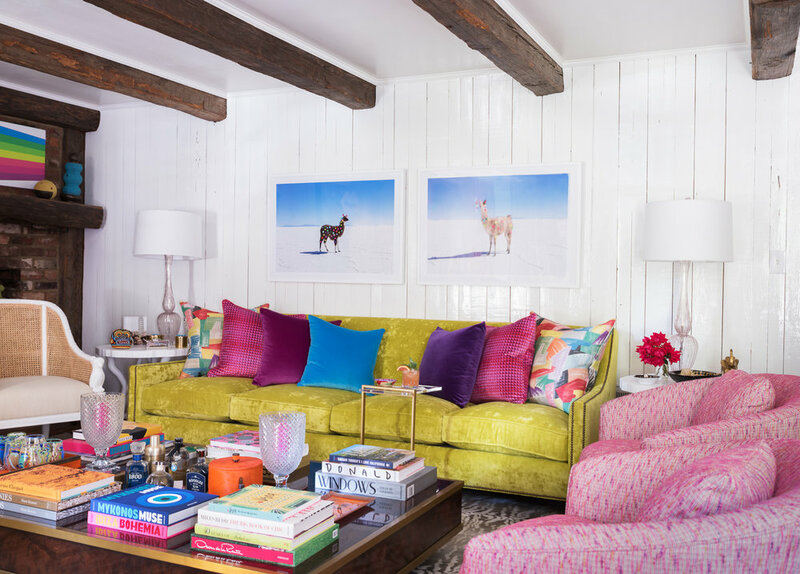 Holly’s maximalist style and fearless use of color made shooting this den, designed as a One Room Challenge, a feast for the eyes and a treat for me as the photographer. 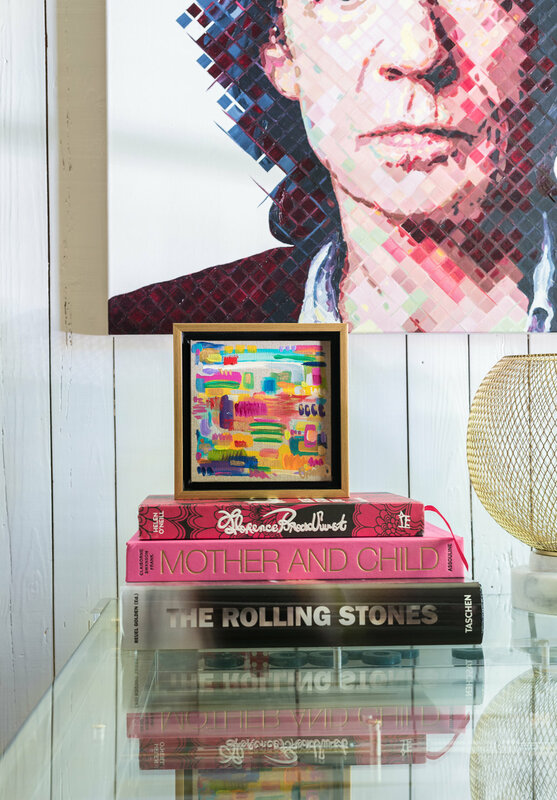 Our goal was to capture some overall shots of the den so that the viewer understood the layout and could see how the various art and texture play so well together. After getting great wider shots we went about the business of capturing some of the incredible details throughout. In our 6 hours or so together she graciously fed me top shelf snacks (take note designer’s, this is a very important part of the design process), told me some of the history behind the den, and shared her thoughts on some of the pieces she had brought together in the room. Holly grew up in this house. She remembers the den fondly as a place she gathered with her family. It was dark and cozy and came complete with an indoor grill (no longer in use, but a cool artifact nonetheless, and still present in the front corner under the lips art). 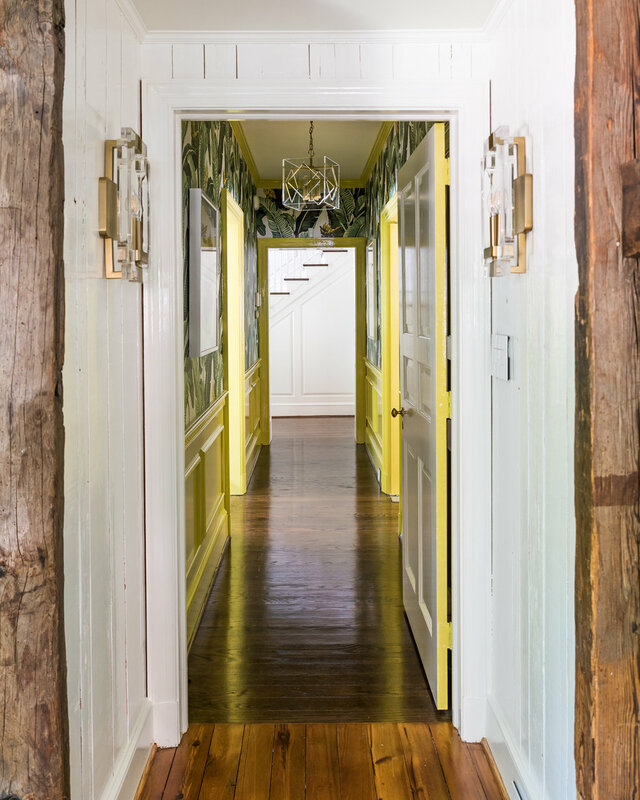 She painted the walls and ceiling white but left the brick and beams in their original finish, which lends some texture to the clean white palette. 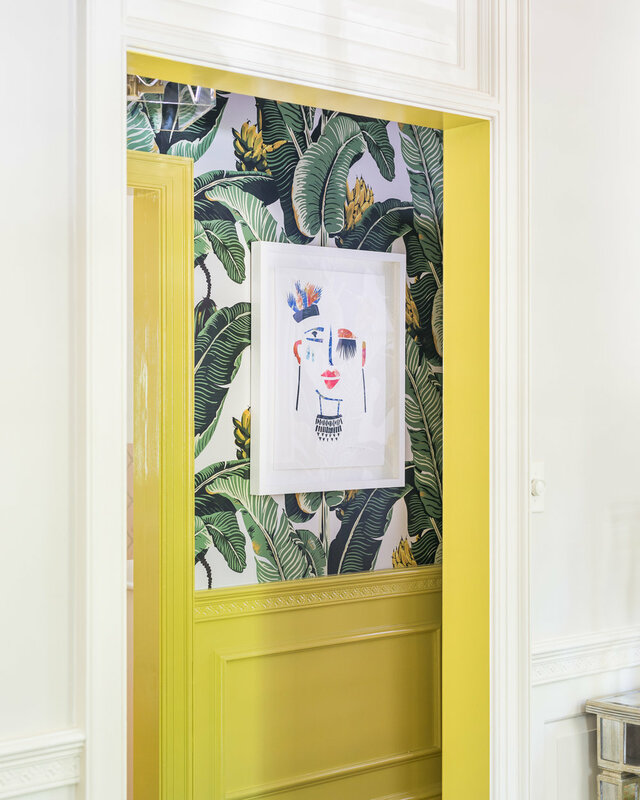 Upon entering her home there is a gorgeous transition from the entry to the den; past the dining area and down a hall you are surrounded by molding and doors finished with a loud chartreuse high gloss lacquer that is the perfect complement to the banana leaf wallpaper. 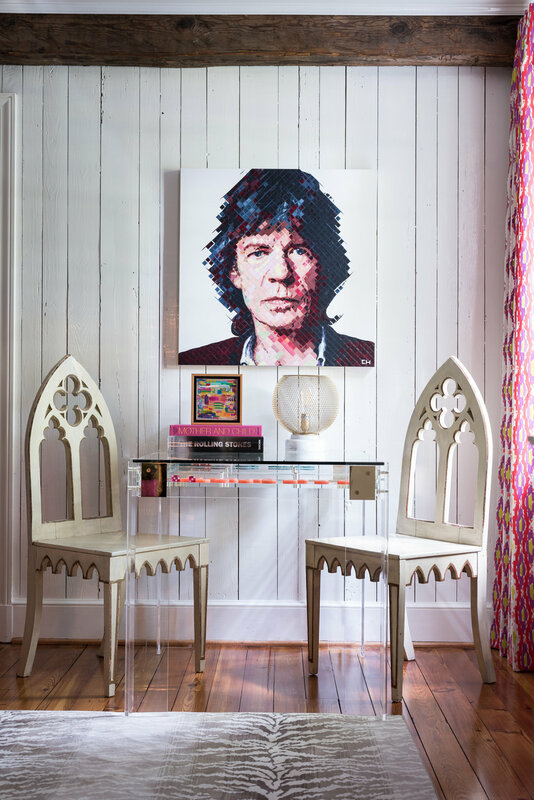 This bright hallway transports you into the den, where an always cool Mick Jagger waits to greet you from above an acrylic game table that is styled with books, more art, and candy colored game pieces. The velvet chartreuse Bernhardt sofa echoes the chartreuse entry and is big and cushy enough for a solid nap or a group movie session. The artists represented are almost too numerous to list, but here are the ones I managed to jot down: Gray Malin, Gina Julian, Charlie Hanavich, Maria Osorio Driscoll, Geraldine Neuwirth, Stephanie Henderson, Morgan Elvington Walker, and Virginia Scotchie. Thanks to Holly for bringing me into this beautiful space and passionately telling me the story of each nook and cranny. I am not a writer and I am not doing the story justice with my writing, but I am especially grateful to Holly for exposing me to the work of the late Florence Broadhurst, whose designs are reflected in the Florence Broadhurst for Selamat Designs Cockatoo Chairs and the console table grounding the television. Holly peeked my interest and further reading revealed even more intrigue about Broadhurst. She was born in 1899, the daughter of a cattle rancher in the Australian outback, she worked as a performer, painter, dressmaker and designer, apparently under various names/identities. She reinvented herself and changed the course of her adventurous life more than a few times, and her whims led her to create a life in both China and England before returning to her native Australia. I have to wonder what it was like for her to make these travels in the early 20th Century (as I think she did most of this, at least initially, as a single woman). 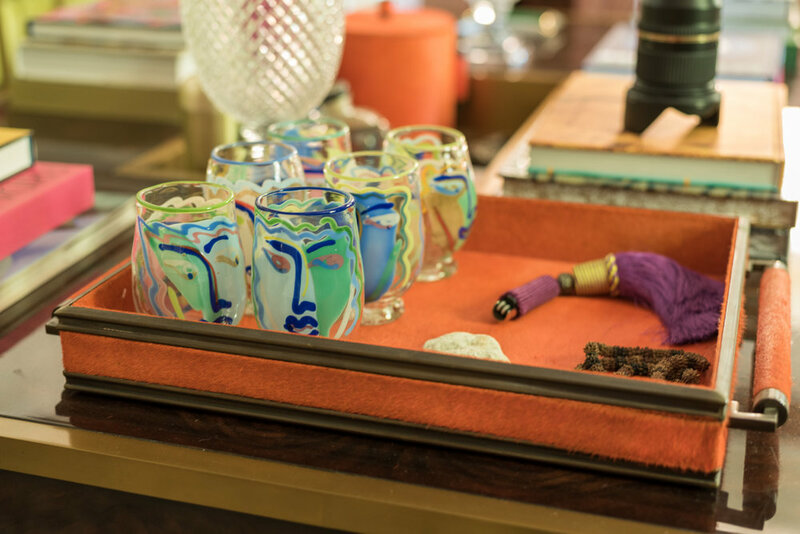 These, and many other stories, find a home in Holly’s carefully curated den. 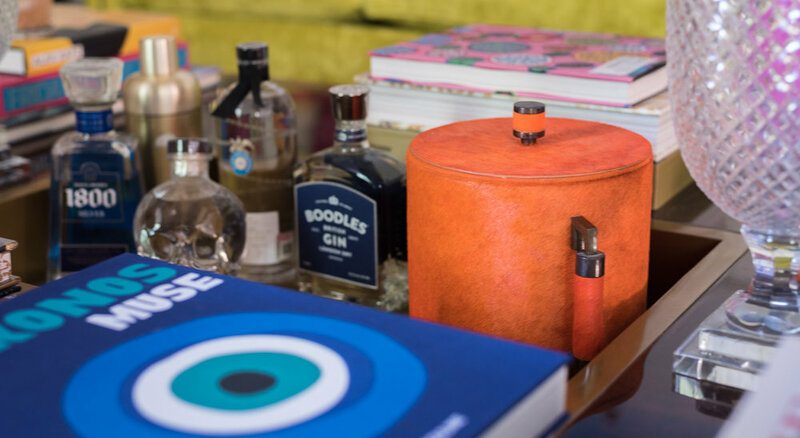 I admire the deep interest Holly has for each detail of this eclectic room. 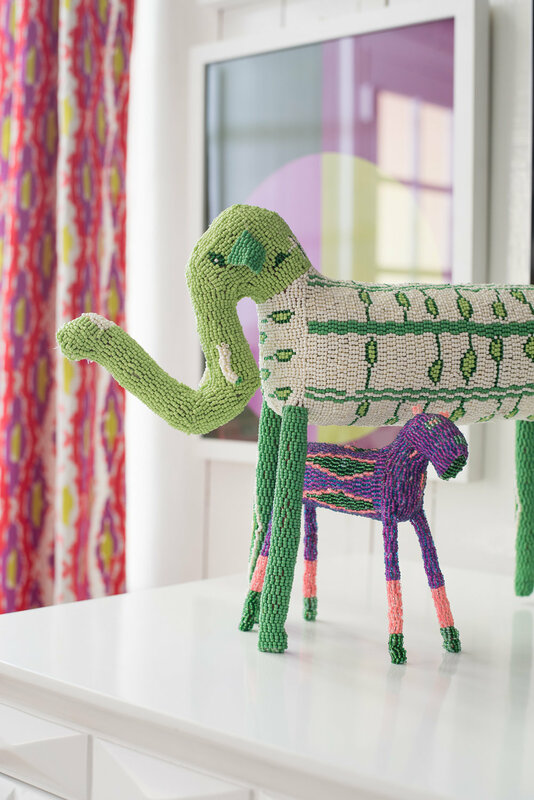 If you have a chance to ask her about any of her designs, she will light up as she tells you about it and you will leave the conversation with a list of new artists and inspirations to explore. 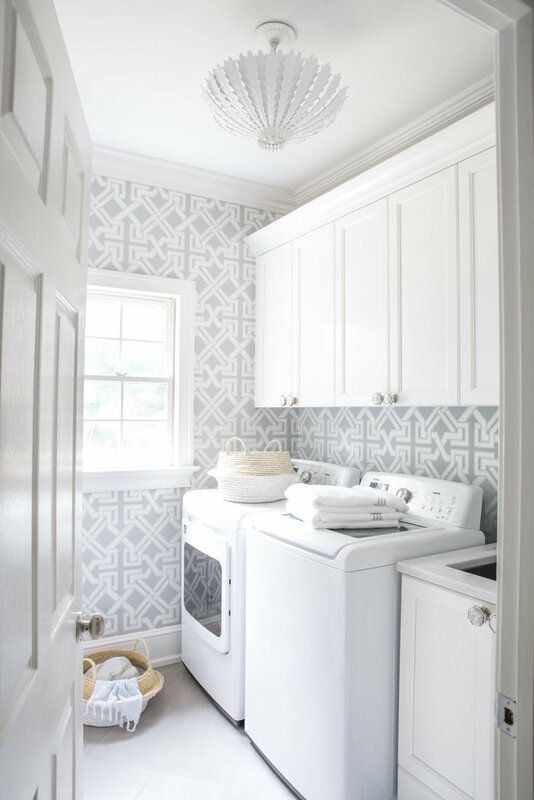 Check out more of Holly’s work and follow her progress in the upcoming Fall 2018 One Room Challenge as she renovates her kitchen.